e-xpress Interactive, India’s leading video game publisher announces pre-orders for Borderlands 3. Consumers can pre-order the Standard, Deluxe and Super Deluxe Edition starting today. Borderlands 3 is a hilarious, story-driven, non-stop galactic thrill-ride, filled with colorful characters, epic enemies and boss fights, and literally billions of guns. In an all-new gameplay trailer, Gearbox and 2K show off the game’s unique brand of explosive, irreverent mayhem. 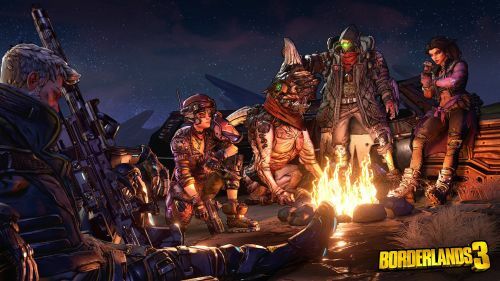 Borderlands® 3, the next installment in the critically acclaimed shooter-looter series, will launch in India on PlayStation 4 and Xbox One September 13, 2019.